On December 22, 2009, Olymel S.E.C., in conjunction with the Canadian Food Inspection Agency (CFIA), issued a voluntary recall on certain ham and processed meat products due to potential contamination with Listeria monocytogenes. The recall was initially focused on products that were distributed in Ontario and Quebec, having been manufactured at the Olymel S.E.C. plant in Montreal. 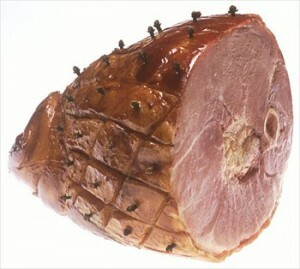 However, the U.S. Department of Agriculture’s (USDA’s) Food Safety & Inspection Service (FSIS) has since announced a recall of 312 pounds of ham distributed to Maine and New Hampshire by Maine-based importers Associated Grocers; this recall was based on an advisory from CFIA that some of the ham products had been shipped to the U.S. While there have been no reported illnesses linked to the recalled products, the recall has been issued as a precautionary measure. Affected products (sold in various sized packages) appear under several brand names: Olymel’s extra lean cooked ham and mock-chicken meat loaf; Royal’s bologna, mock chicken meat loaf and chopped cooked ham; Lafleur’s extra lean cooked ham; and Roma’s family pack pepperoni. Food contaminated with Listeria monocytogenes may not look or smell spoiled, but consumption of contaminated products can cause listeriosis, which is a food borne illness that manifests in various ways. Symptoms can include high fever, severe headache, stiff neck and nausea; those at particular risk include elderly people, people with weakened immune systems, and pregnant women, who are particularly sensitive to listeriosis. A pregnant woman who only experiences mild, flu-like symptoms may still be at risk for premature delivery, infection of the newborn and even stillbirth. Again, although no illnesses have been reported, Olymel, CFIA and FSIS have issued the recall in an effort to protect consumers and the general public, and to avoid any potential outbreaks. Any consumer who suspects that they have purchased a potentially contaminated product should follow the links below and immediately discard any products that are on the recall list. Call 1 800 862-9939 Pacific today to book a 20 minute online web demo of Simply Safety! for your management team!